Where: Clune Arena, USAF Academy, Colo.
while the Flacons are ninth. 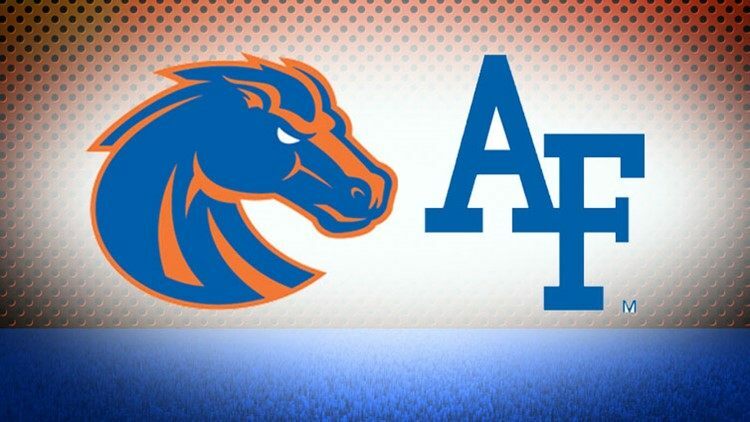 Boise State owns an 11-4 advantage in the all-time series against Air Force, including a four-game winning streak. The Broncos are 4-3 in Clune Arena, as well. Boise State earned a 70-64 win last season at USAFA by making 12 3-pointers (12-of-27). The Broncos are coming off a 63-53 loss at Fresno State last Saturday. Despite being unable to get much going offensively, Boise State didn’t stray from its consistent defensive effort against Fresno State last Saturday, holding the Bulldogs to a season-low 20 points in the first half on 10-of-29 shooting (34.5%). defense in the MW for league play, giving up just 63.6 points per game. 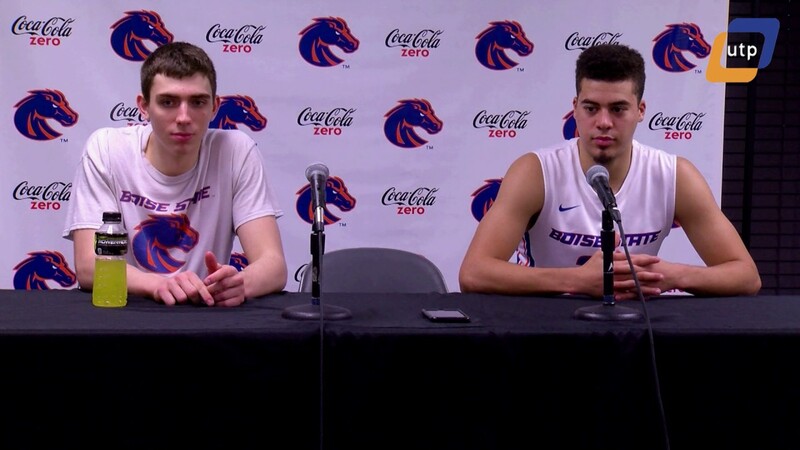 Key Fantasy Players: Boise State’s production from the two wing positions has been outstanding in its first five MW games, as Alex Hobbs (17.4 ppg) and Justinian Jessup (14.4 ppg) rank fifth and 14th in the conference for scoring in league play, respectively. Hobbs has scored 15 or more points in five-straight games while Jessup has tallied double digits in four of his last five games. Either player in this game should be a good play from a fantasy point of view. 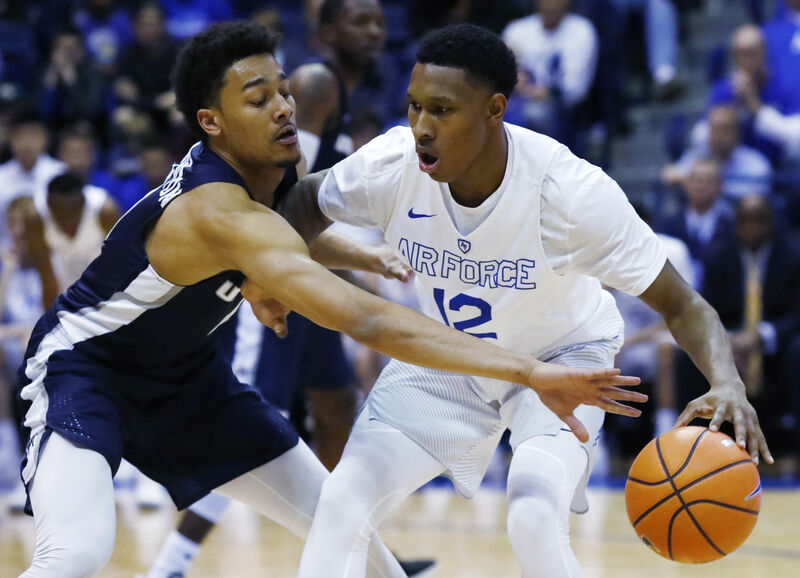 In Air Force’s last game, the Falcons hung tough on the road against Top 5 High Major ranked Nevada (18-1, 5-1), but ultimately came up short in a 67-52 setback Saturday night. The Falcons led 24-20 at halftime, holding the Wolf Pack to its lowest halftime point total this season but also scored its season low offensively. Despite the lineup juggling, Air Force has gone with the same starting lineup the last four games. AJ Walker, Sid Tomes, Keaton Van Soelen, Lavelle Scottie and Ryan Swan have all started the last four games. It is also Air Force’s most used starting lineup this season. USAFA has gone 2-2 in this stretch but won both home games with this line-up over UNLV and San Diego State. Key Fantasy Player: Junior Lavelle Scottie has also been a steady offensive producer for Air Force, leading the team and ranking 12th in the MW in scoring at 13.5 ppg and is second on the team in rebounding at 5.3 rpg. Scottie if off to a strong start in MW play, averaging 16.5 ppg, which ranks 9th in the conference. Scottie has reached double-figures in scoring in the last 12 games. He notched a double double with 16 points and 11 rebounds against San Diego State.